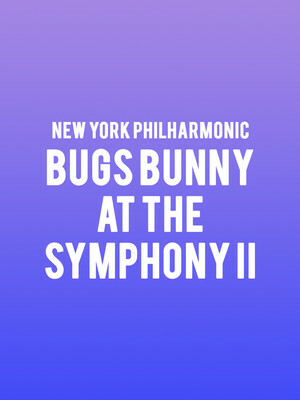 Why See New York Philharmonic - Bugs Bunny at the Symphony II? Tracing its origins right back to the golden age of animation, when Warner Brothers' Looney Tunes first introduced the world to a host of beloved characters including Bugs Bunny, Daffy Duck, Marvin the Martian and Elmer Fudd, the weekend ritual of cartoons and cereal on a Saturday has become a bonafide tradition for children and adults alike. 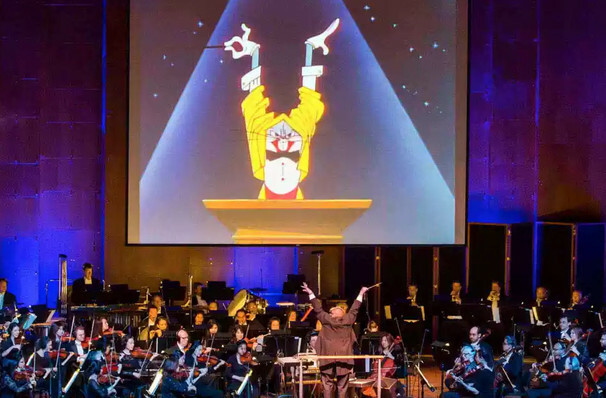 Let the kids stay up late this time and treat them to a special live Looney Tunes screening with a live score by the New York Philarmonic and special guest conductor George Daugherty. Inspired by Walt Disneys Silly Symphonies series, Looney Tunes used music to pull off some of the most side-splittingly-funny gags in animated history, using artful, carefully-timed orchestral arrangements to punctuate every memorable hi-jink, as well as excerpts of classical pieces. The man behind their scores was Carl W. Stalling, a prolific composer who had a huge hand in introducing multiple generations of youngsters to the unbridled joy of classical music. Sound good to you? Share this page on social media and let your friends know about New York Philharmonic - Bugs Bunny at the Symphony II at David Geffen Hall at Lincoln Center. Please note: The term David Geffen Hall at Lincoln Center and/or New York Philharmonic - Bugs Bunny at the Symphony II as well as all associated graphics, logos, and/or other trademarks, tradenames or copyrights are the property of the David Geffen Hall at Lincoln Center and/or New York Philharmonic - Bugs Bunny at the Symphony II and are used herein for factual descriptive purposes only. We are in no way associated with or authorized by the David Geffen Hall at Lincoln Center and/or New York Philharmonic - Bugs Bunny at the Symphony II and neither that entity nor any of its affiliates have licensed or endorsed us to sell tickets, goods and or services in conjunction with their events.